Moving further up along the valley. 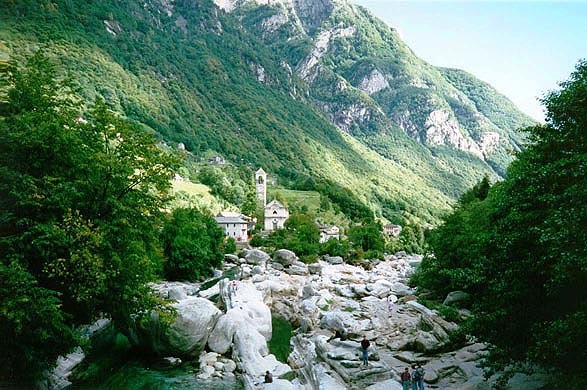 This is the Verzasca riverbed. The river is quiet in autumn, but quite powerful and wild in spring.